Shakey’s Philippines has partnered with Globe Business and GCash to give consumers a more convenient service by simply using their mobile phones. 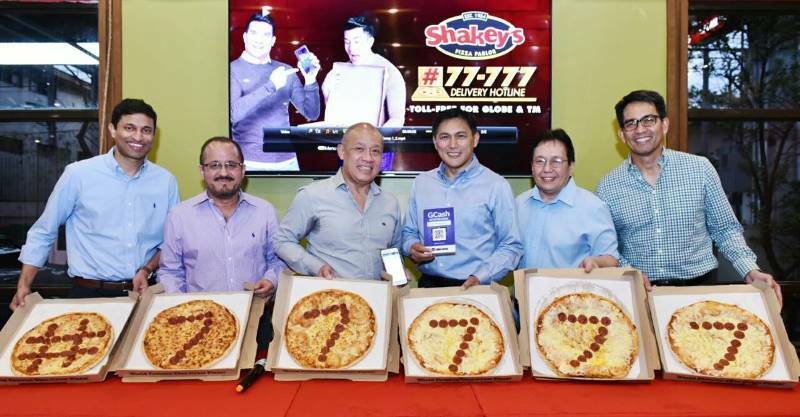 Teaming up with Globe, Shakey’s Philippines has expanded its order and delivery operations through its toll-free hotline #77777 service, which will allow over 60 million Globe subscribers to order via mobile phones and landlines. Also, the pizza store chain has announced its collaboration with GCash to adopt its Scan-to-Pay feature. Through this, they will be able to offer a hassle-free payment system that comes with special promos and discounts, too. “Both the #Hashtag and GCash Scan-to-Pay feature give guests of Shakey’s Philippines the power to use their mobile phones as a tool to make transactions easier and more convenient. Globe continuously strives to improve and create solutions that bridge business gaps and provide companies with the technology that will allow the, to empower and connect their customers,” Globe President and CEO Ernest Cu addressed. Meanwhile, Shakey’s Philippines eyes to roll out its Scan-to-Pay service within the year. However, the rollout has already kicked off in the following branches: BGC Stopover, Market Market, Venice Grand Canal Mall, Loyola (Katipunan), Buendia, Valero, Glorietta, Park Square Makati, Makati Avenue, UPS (Shakey's WOW Center) and Magallanes. The company has announced that every GCash Scan-to-Pay user will get a 10% cashback when they use the service until March 31, 2018.